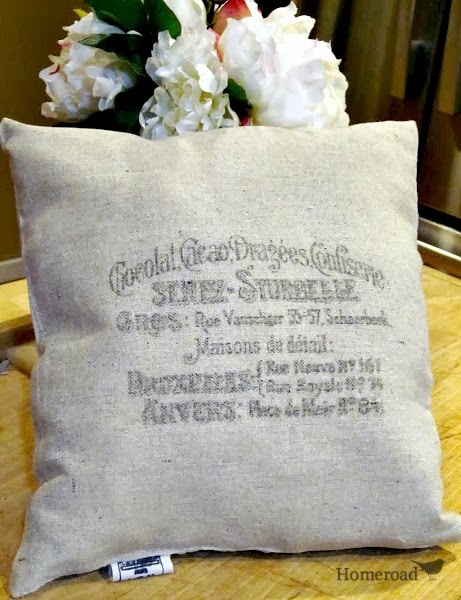 "I'd love to have this but in a different color...."
Frankly, custom orders are not easy! 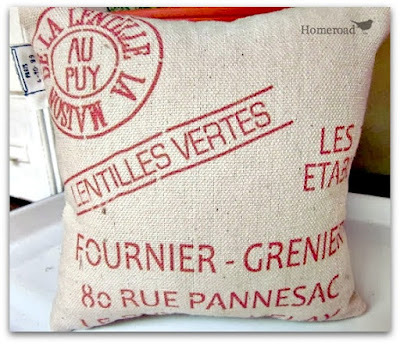 I am always worried that it won't turn out the way the client envisioned the project so I shy away from custom work. 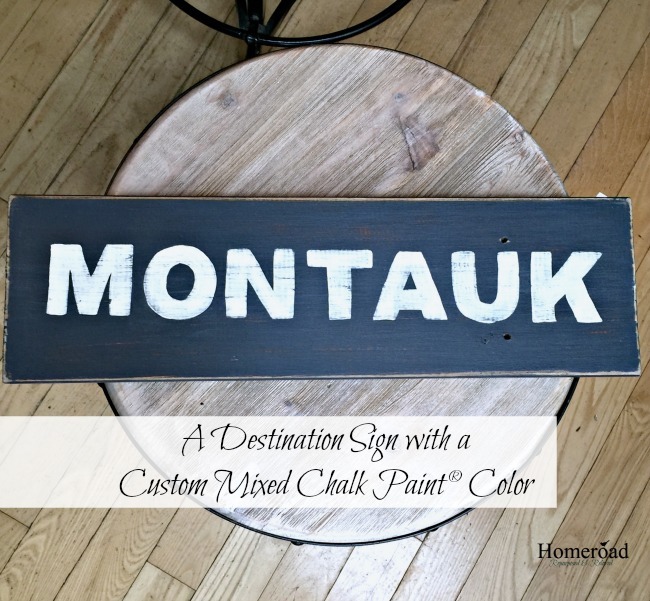 This week someone wanted a sign that said "Montauk"... Montauk is a beach town at the very end of Long Island. It juts out into the ocean and is a huge tourist destination. Seemed easy enough so I agreed to make the sign. The client asked to have the sign painted in Navy Blue. There are many Navy Blue paints out there but since I have a lot of Annie Sloan Chalk Paint® in my workshop, I decided to mix the colors I had to create a custom Navy Blue color. 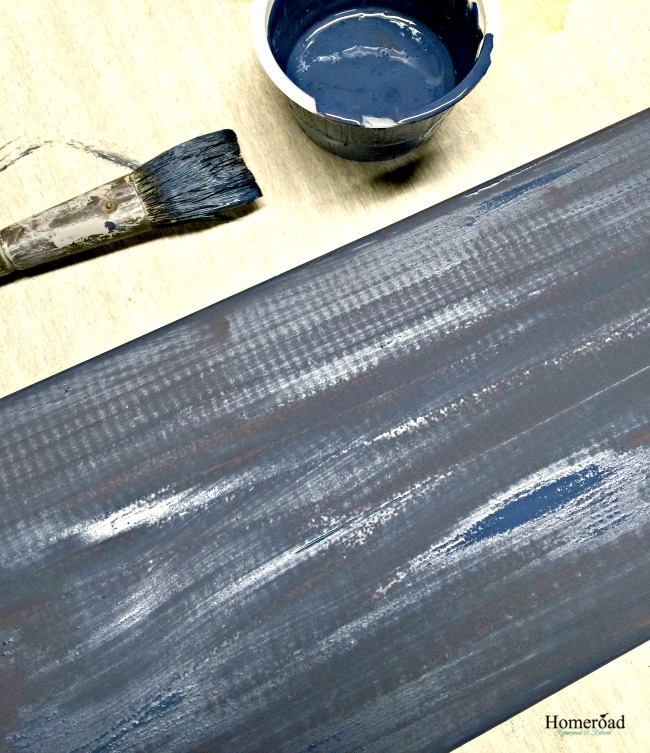 For this project I mixed one part Graphite with 2 parts Napoleonic Blue and created a beautiful shade of Navy Blue. 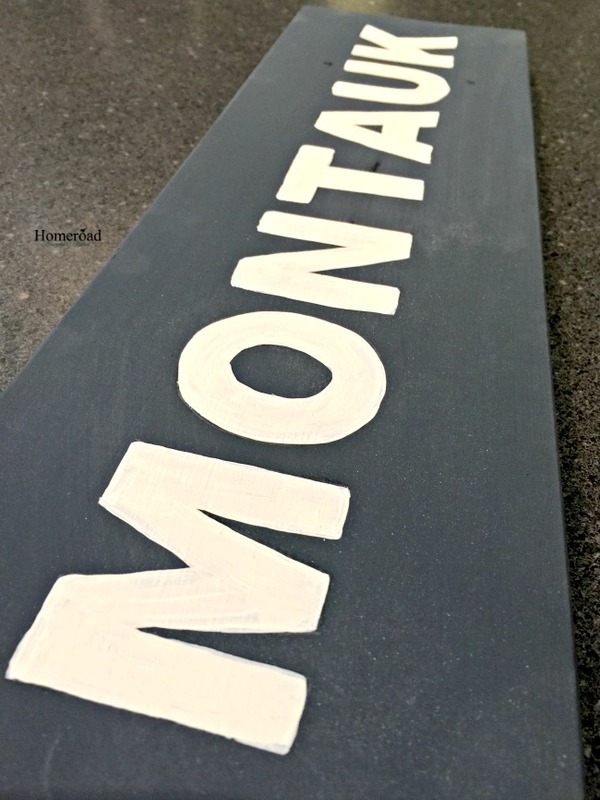 When the new paint color dried I printed out the word MONTAUK on my printer. Using graphite paper, I traced over the printed letters. The traced letters came out on the board and it was easy to see where to paint. 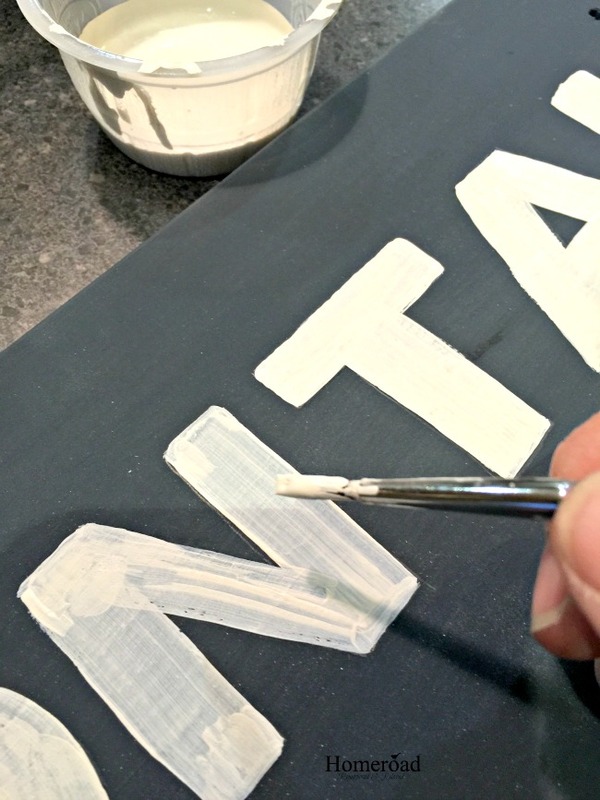 I used Old White to hand paint the letters inside the lines. 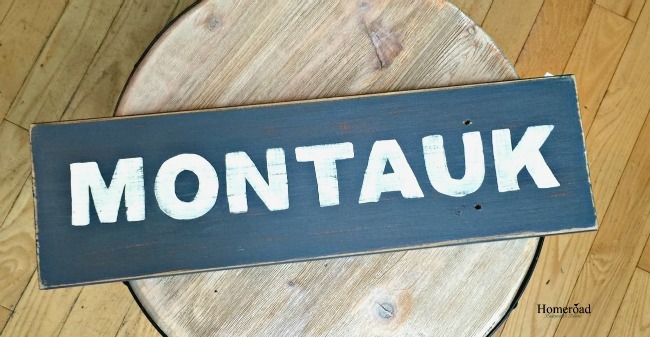 When the lettering dried I gave the sign a good sanding to give it a rustic, beachy look. The client is coming to the shop to pick up her sign and I hope she likes the custom color I created just for her. Maybe we should call it "Montauk Blue". I seldom make signs. You are so good at it Susan! I love them all.